Campaigners looking to block the merger of Newbridge and Naas Credit Unions say that a leading audit firm cleared the Newbridge accounts months before the special manager was appointed by the Central Bank. A FORMER COMMITTEE member of the campaign to save Newbridge Credit Union has said that a proposed merger between Naas and Newbridge Credit Unions would lead to “colossal” losses. Frank White, who stepped down from the campaign in order to allow him release documents, says that should the Central Bank force the merger through, Newbridge members will withdraw their deposits and default on their loans. The merger is a proposal made by the Central Bank in order, they say, to save Newbridge, which it claims is severely under-capitalised. However, White claims that members will conduct a run on both credit unions should the merger happen, and that withdrawals are already taking place. “When the special manager was implemented, people started to take their money out and go elsewhere. “I have been reliably informed that we are approaching €40 million in deposit withdrawals since the manager came there. White added that if the merger goes ahead, many Newbridge members will “have no faith” in the credit union movement. “There will be 10,000 who will carry on regardless, there will be another 10,000 however, who will restructure, default on repayments or whatever. There are thousands saying the same thing. The Central Bank says that it made the decision to put the special manager in place because Newbridge Credit Union was below its required statutory reserves. Under these guidelines, credit unions must have 13 per cent of their liabilities on hand at any given time. Draft accounts for 2011 show that Newbridge had €23 million in statutory reserves and a bad debt provision of €24 million. It is believed that these accounts were agreed by Newbridge directors and auditors in early November 2011. However, these figures were never signed off on by the Central Bank and a subsequent auditors report called for an extra €17.3 million in bad debt provisions. That money was taken from reserves, thus making the credit union far below the 13 per cent statutory figure. White claims that regulators from the Central Bank asked auditors to look at the figures again. A spokesperson for the audit company did not return calls from TheJournal.ie, but financial industry sources say that the discrepancy could have come from how bad debts are provisioned. At the end of 2011, Newbridge had an average loan size of over €17,000, more than twice the size of some comparable credit unions. This, along with the fact that a small number of loans at the credit union are believed to be over €1 million, means that the provision could have been remodelled. A spokesperson for the Central Bank says that it “cannot comment on individual figures”. Email “Newbridge Credit Union members "will default on loans" if merger goes through”. 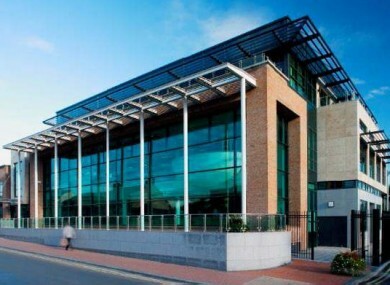 Feedback on “Newbridge Credit Union members "will default on loans" if merger goes through”.